Start reading Past Tense: (Jack Reacher 23) on your Kindle in under a minute. The EVENT publication of the year, the most hotly anticipated thriller of 2018, follows our hero Jack Reacher on a quest into his father's past, and climaxes in the most stomach-clenching, hair-raising,blood-curling ticking-time- bomb of an adventure yet. 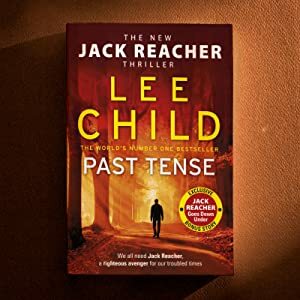 I am a fan of the Jack Reacher books and was bitterly disappointed with Past Tense. These books usually grab you within the first 10 pages. I stuck with this book for 160 pages (40%) but couldn't wait any longer to develop some interest in the story. Other reviewers suggest the book gets interesting at about the 75% mark, but I am not willing to invest in reading another 140 pages to get to the good stuff, so I've given up! I laid out my cash for this one based on the Lee Child rep, but in future I will wait to see how his books review before spending my money. Sounds like a case of classic "writer's block" to me. Don't waste your money on this one - its nowhere near his usual standard. Look, who doesn't like Jack Reacher? The problem is every story is the same. He beats up people, foils some extraordinary sinister plot and gives tons of money to some needy victims. This book is perfunctory, all the I's are dotted etc. But is was boring, predictable and uninvolved. Reacher would have punched the book in the teeth. The early books kept you guessing, had tension. Maybe, just maybe Jack needs to retire. Or the author needs to get excited again. It's like the movies starring Tom Cruise as Reacher. It just doesn't work. 5.0 out of 5 starsAnother masterpiece. Lee Child writes like no other author. Many would dismiss his books as trash catering to lovers of guns and violence. But the humanity of his protagenist, the quirkiness of life and the poignancy of the stories create emotionally involving tomes.This one is one of his best, involving several plots all beautifully resolved. 2.0 out of 5 starsNot your best work Mr. Child! 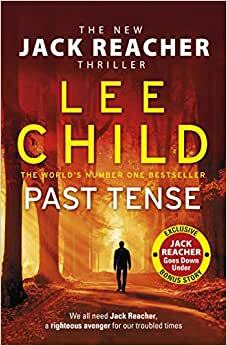 After waiting so long for your latest novel (and having read all of the Jack Reacher books so far) I must say "Past Tense" was a very disappointing read. It is hard to identify precisely what it was that I didn't like, all of the introspection of the 2 other main characters (apart from JR) was annoying. JR was also too busy self analysing - the whole book just didn't work for me. I was almost angry when I was finished with it. Had it been a Hard Cover I would have tossed it in the bin (heresy to me, I have kept all of my books over the last 40 years) - I wouldn't have bothered lending it to anyone (unlike all of my other Lee Child books) but as it was on my Kindle I just deleted it. 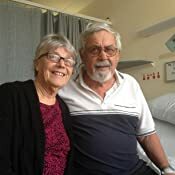 5.0 out of 5 starsBad Reviews ? Why on earth ? Can’t understand why this book is getting bad reviews from readers. I was excited to see it in a bookstore and immediately downloaded it to my kindle when I got home. Started reading it on a plane trip and couldn’t put it down. I’m my opinion one of the best Jack Reacher novels by far. I loved that there were 2 aspects to the story which coincided in the end. Always waiting to see what was in that damn suitcase ! Don’t retire Jack Reacher, he’s a larger than life hero and a joy to read about. Have read every one of Lee Childs books and can honestly say I’ve never ever been disappointed. Brilliant author with a brilliant hero. 2.0 out of 5 starsDifferent. Totally different. I have every book about Teacher. Short stories as well. But this one is sooo! different. Read it and see what you think. What can I say. I think Lee must of had a brain fusion with this book. Either that,or Reacher is getting old. I do hope we are not going to see him retire like Rebus did. I do not want to see my two favorites disappear. 3.0 out of 5 starsMaybe the shine is wearing off with Jack Reacher? I started reading and pretty much straight away had an idea of two possible scenarios that could have explained everything. Unlike other books that generally kept you guessing, this was to my eye a walk through of a story line with little mystery or pizazz of past stories. That is why I say perhaps the shine is wearing off .. perhaps it is not so much the story as me knowing Jack Reacher inside out and being able to get an idea of what happens next. A good read nonetheless, but I felt that this was a similar novel to another Jack Reacher story. Bit of a shame really seeing as I look out for their release to find they are not up to expectations. 5.0 out of 5 starsRead it in one single go. Fast paced, but with enough slow details to make it a thoroughly enjoyable read. And creepy enough to be really interesting. Of course Reacher does his tough thing also. The usual suspects get hit in the face if not just outright killed.